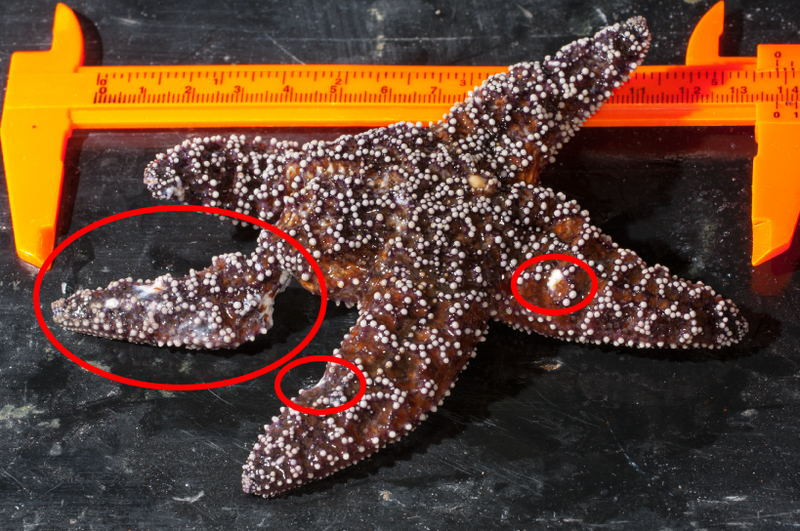 I happened upon a Pisaster ochraceus in the mid-intertidal zone at Hopkins Marine Station today that was exhibiting symptoms of the wasting syndrome. As shown below, one of the arms was “melting” off and was covered in white, gooshy lesions. Those lesions were also present on two of the other arms. 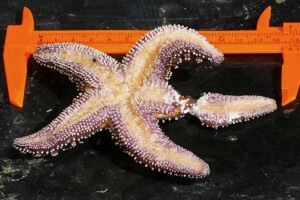 A Pisaster ochraceus seastar exhibiting symptoms of the wasting syndrome. 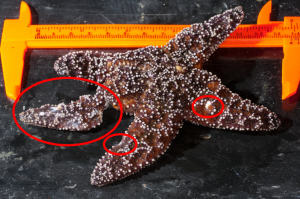 Lesions and “melting” tissue are circled in red. Another view of the unhappy seastar.